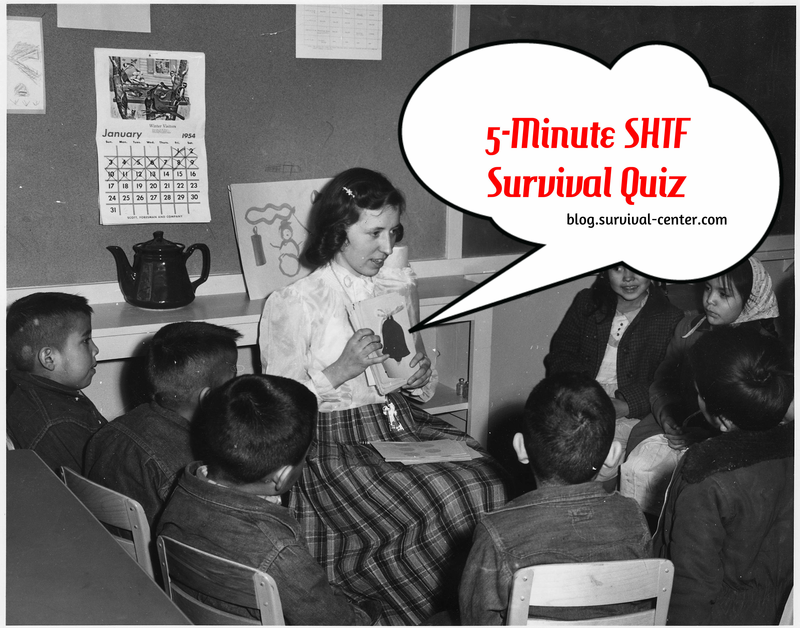 Can you answer these basic SHTF survival questions on your own without looking them up? Hopefully you can because if you found yourself in a “stuff hits the fan” situation tomorrow then this knowledge could mean the difference between life or death! Take this quick quiz to see if you possess some of the most basic knowledge it takes to survive the first few days or weeks of a crisis scenario. Don’t worry if you have to look up the answers (we won’t tell anyone)…just share the BEST answers with everyone! IMPORTANT: Leave Your Answers in the Comments Section Below and Bookmark This Page in Your Browser for Later! 1. What are the 4 basic requirements humans require for survival? 2. If you find yourself stranded in the wilderness most experts agree that one of the requirements from the first question is the first priority over the others. Which one? 3. How long can the average human live without food? How about water? 4. How much water does the average adult require per day? 5. What is the best tool for starting a fire? 6. A sharp, reliable ________ is arguably the single most important tool you can invest in for your survival pack. 7. 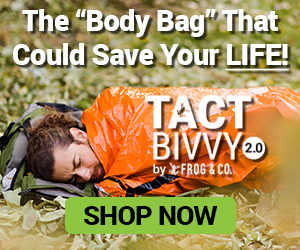 A tarp should also be a part of every bug out pack because it has dozens of potential uses. Can you name the top 5? 8. How do you tell direction without a compass? 9. What’s an easy way to tell time without a watch? 10. Is it ever OK to drink urine for survival? Seriously — is it?? We’re looking to see who has the best answers to share with the Survival Center community, so sound off in the comments section below! We know our readers are some of the “sharpest tools in the shed” so we can’t wait to see your responses to the questions in this SHTF survival quiz. Be sure to also tag your Facebook friends in your comment so they can chime in with their answers too. 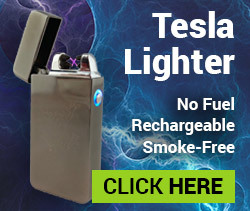 This entry was posted in Emergency Preparedness, Emergency Survival, Outdoor Survival, SHTF, Survival Basics and tagged SHTF Scenario, SHTF Situation, SHTF Supplies on July 2, 2014 by David Adams. 1. Air, water, food and shelter. 2. Safe water, unless extremely cold, then shelter. 3. Without food around three weeks. Without water three days or less. 4. Daily water two liters depending on activity and conditions. 5. Start a fire with tint and steel, unless you have a lighter. 6. A sharp reliable knife. 7. Tarp, shelter, collecting water from rain or from underground. Drag your stuff or protect food. Can even sleep off the ground. Many uses. 8. Forgot your compass, shame on you. Put a stick in the ground. Place a rock or some marker at the end of shadow. Rest for a while, then again mark end of shadow, a line between them is east west, in North America that line is north of the stick. Will work with both sun and moon light. 9. 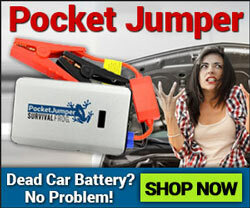 Lost your watch, or smart phone dead. The elevation of the sun told about time for most of history. Under these conditions, will not have a date for dinner anyway. 10. Urine in your cup. Bad plan, but if you are really that hard up, it has added a little time. Most places you can do better. 10. Yes but could cause problems so don’t. Has other survival features. 1- shelter, water,food and fire. 3- 3 weeks without food, 3-5 days without water. 4- require 1 quart per day, 1 to 1 1/2 gallons is better. 7- probably not, it depends on the situation. but here goes: shelter, poncho, sleeping bag, moisture collection, gurney. 8- using the sun with sticks and shadows. 10- yes. and contrary to beliefs urine is NOT sterile, you urinate to eliminate waste and toxins from the body. drink your own, beware of drinking others.